The Success Without Walls Business and Empowerment Summit runs January 18 - 19 in Atlanta. During these two days, attendees can expect feature celebrity guests, and marketplace geniuses for a dynamic life-changing time of education and empowerment. ATLANTA - Dec. 9, 2018 - PRLog -- The coaching industry is an extremely lucrative career for those willing to put in the work. It's truly a career that is centered around authenticity, creativity, and a person's skill set," she says. Pittman knows what it means to move a business beyond any four walls to effectively reach ideal clients and the market. She also understands the fears, self-doubts, insecurities, and life-blows that come to make business owners feel inadequate about starting, growing and maintaining a business. Above all else, her aim is to help them successfully hit their personal, professional, and psychological goals. The Success Without Walls Business and Empowerment Summit will run January 18 - 19 in Atlanta. During these two days, attendees can expect feature celebrity guests, and marketplace geniuses for a dynamic and life-changing time of education, empowerment, motivation, and impartation. "It's time to take coaching beyond the four walls. I've been inspired by family matriarchs to help women obtain and maintain wealth. Now, I will reveal the hidden keys to owning a lucrative, successful coaching business," she says. Speed Coaching - Ask all of your dream questions to certified industry experts. 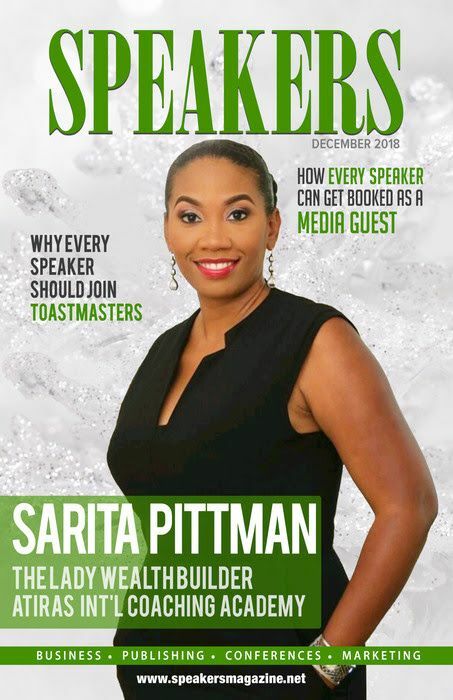 Over the Top Lunch & Learn - Discover your hidden profits, potential, and possibilities with founder, Sarita Pittman. Coaches Night Out - A night out of pure luxury with Founder, Leaders, and your Fellow Coaches dining in a dream atmosphere. Break Up & Out Sessions - Be with dynamic trainers for hands-on small group teachings on Speak Easy, Protect Your Smarts, Dream Big, Emotions Don't Rule Me, and more! 7-Figure Coaching Sessions - This exclusive session will show you how to make a million with what you've got! Coaches Rock Awards - Learn of our latest and greatest programs, honor coaches that are making an amazing impact on the marketplace.